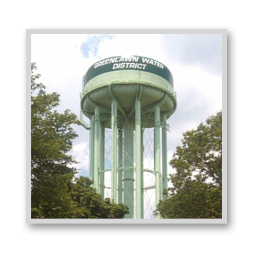 ealed bids will be received by the Greenlawn Water District, 45 Railroad Street, Greenlawn, NY 11740-1217, up to 4:30 p.m. on Tuesday, December 4, 2012, to be opened at the regular board meeting at 9:00 a.m., December 5, 2012, for 50% Caustic Soda and an alternate price for 25% Caustic Soda. The Caustic Soda supplied must meet the American Water Works Association Specification B501-08, or latest edition, and have NSF 60 Certification. The successful bidder must have guaranteed source of supply and own all equipment necessary to deliver the Caustic Soda required under this contract. Truck must be metered. Price may be increased or decreased on a quarterly basis, depending upon changes in the manufacturer’s price of Caustic Soda. Any change must be made in writing with 30 days notice, and must include substantiation of price change to the supplier. Delivery will be made to the Greenlawn Water District office; the superintendent will instruct from that point. Full load will generally be required to be delivered to multiple locations. Certain locations require a short body trailer in order to make delivery. 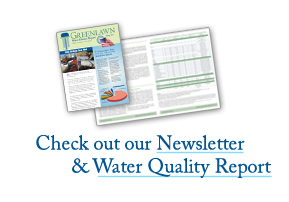 The Greenlawn Water District may require deliveries at future sites as required. Minimum delivery will be 2,000 gallons. per hundred pounds dry weight basis delivered.